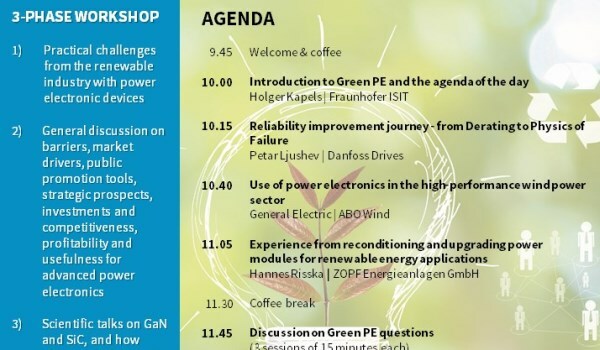 On 14th of March 2017 the Green PE project organises a regional stakeholder workshop on renewable energies. Target groups are industry and research institutions. The participants will add their regional perspective to the draft of the roadmap for advanced power electronics.